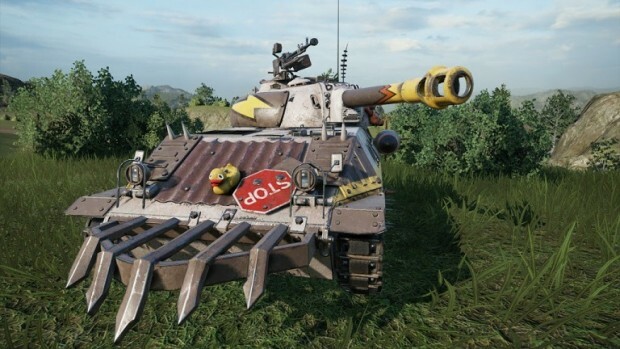 How about some World of Tanks news for your Friday? First, in the console version of the game, World of Tanks: Mercenaries, there are three new tanks and commanders, the Outcasts, inspired by (fittingly) Tank Girl artist Brett Parson. The three combos — Banana Buster and 40 Watt Club, Beach Party and Battalion 23, and T.A.N.K. and The Buck — are available in the store for a limited time as a collection, with individual sales coming at a later time. If you’d rather watch tanking action than play some, you can get your fill this weekend with the World of Tanks Blitz Twister Cup. Rather than just your typical arena, though, Wargaming is doing things a little different for this event, with the event being held “in a bootcamp where the players live, train and compete all together.” The action kicks off at 5:30 a.m. Pacific, which corresponds to 2:30 p.m. Central European Time, and will be streamed via the WoT Blitz YouTube channel.